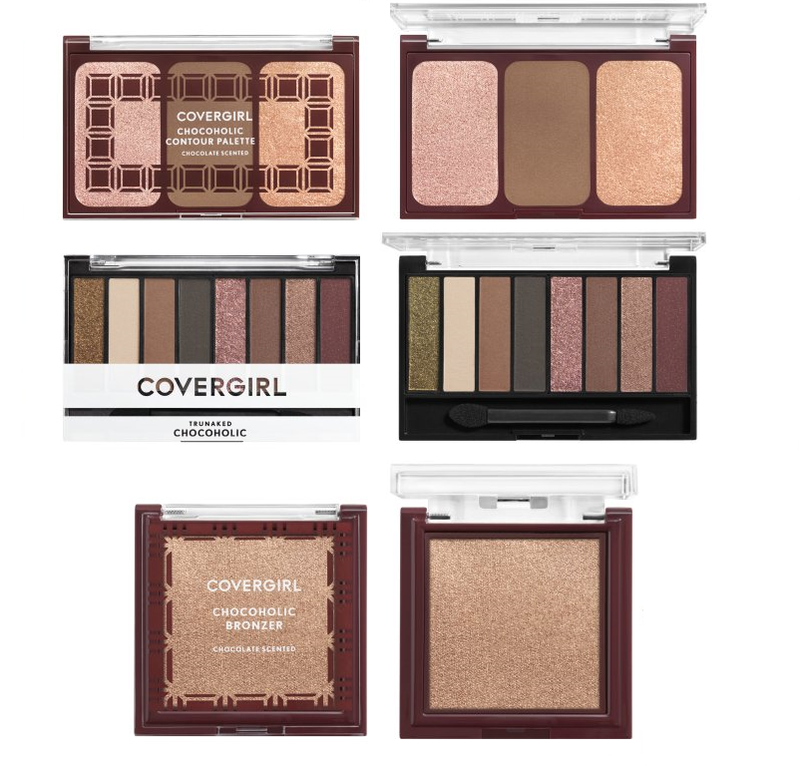 NEW Covergirl Peach and Chocolate Scented Products + More! 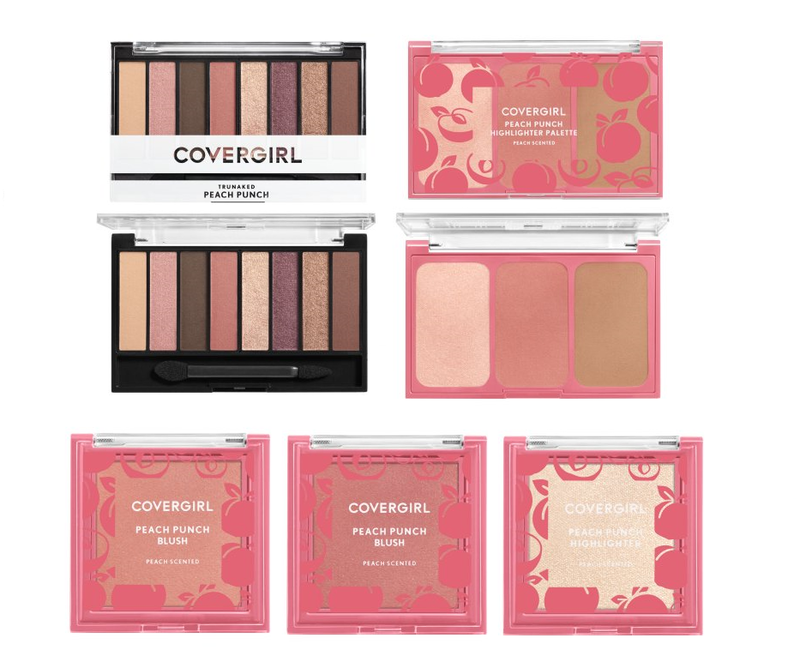 The new Chocoholic Collection includes a Chocolate-scented Contour Palette ($9.98), Chocolate Bronzer ($6.94), and Chocolate Eyeshadow Palette ($9.98). 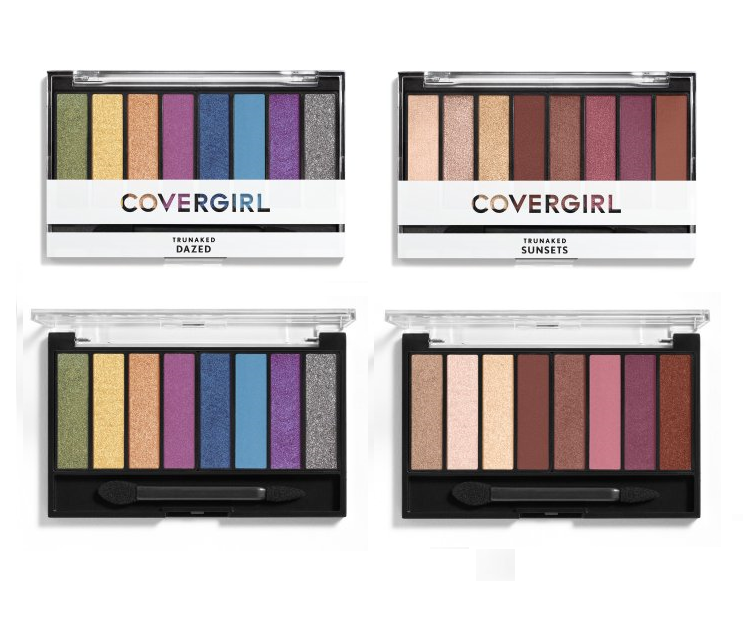 There are two more TruNaked Palettes in addition to the Peach and Chocolate versions (these are unscented)...Sunsets ($9.98) and Dazed ($9.98). 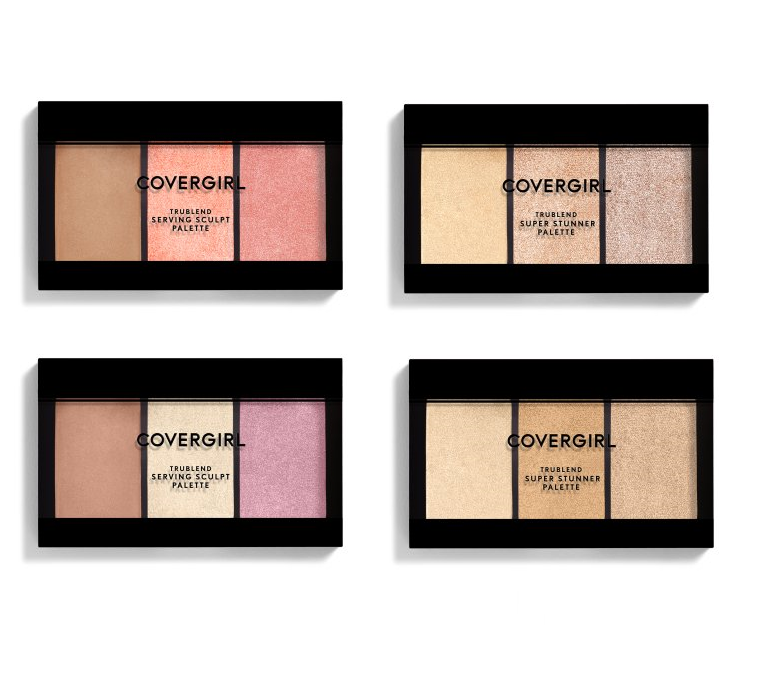 There are also two new contour palettes...Bloom Babe ($9.98) and Rose Nights ($9.98), and two new Super Stunner Highlight Palettes...It's Lit ($9.98) and Glowing Up ($9.98). 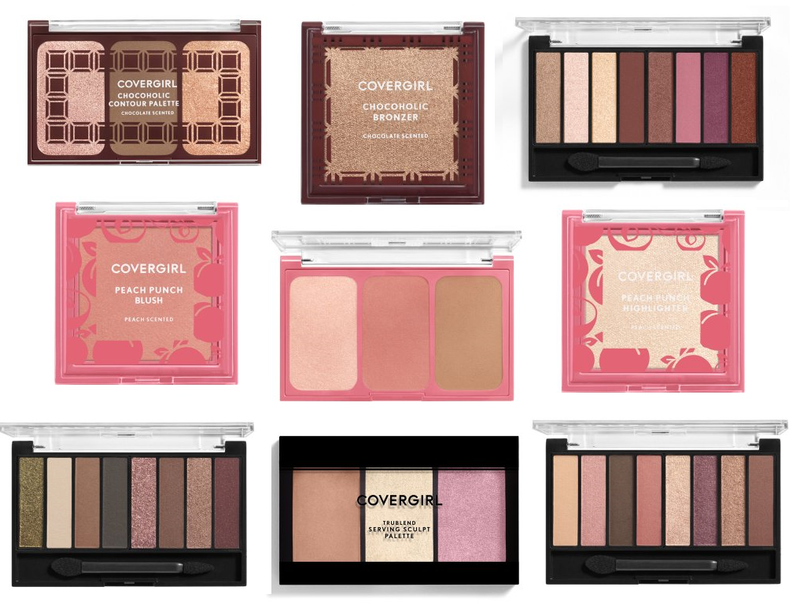 Have you spotted any of these new palettes in-store yet? 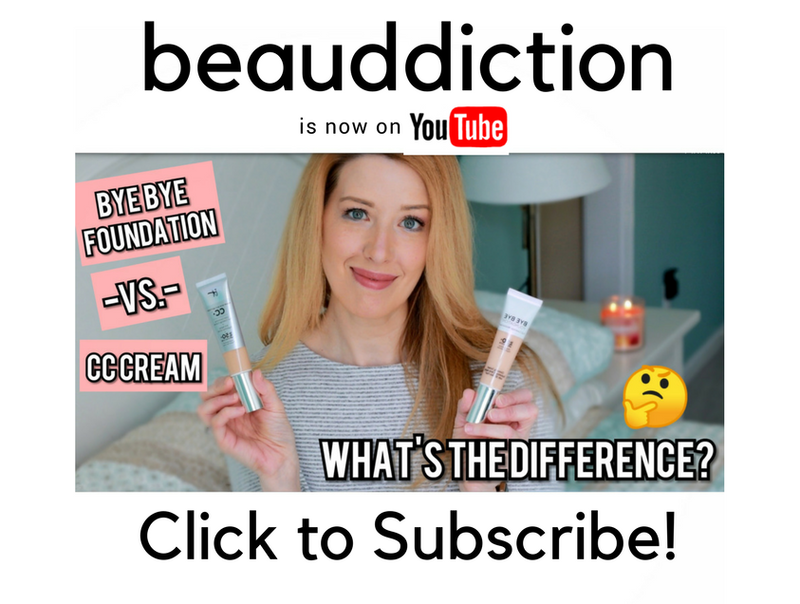 Which ones are you excited to try? saw yr IG yesterday, these look really nice, in stores now??? ?